Democrat David Caprio—the state House Judiciary chairman and brother of gubernatorial candidate Frank Caprio—will face a contested primary if he decides to run for re-election as state rep from District 34. 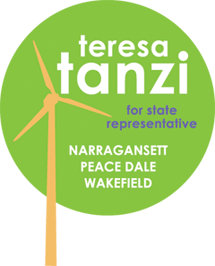 Yesterday, Teresa Tanzi yesterday kicked off her campaign for the seat at an event at Hanson’s Pub in Wakefield. Caprio has represented the district—which encompasses Wakefield, Peace Dale, and Narragansett—since 1999. So far, neither candidate has filed their papers with the Secretary of State, according to the latest available listing. Teresa Tanzi filed her declaration of candidacy on Wednesday morning. Please email Libby if you can help collect signatures to get Teresa on the ballot! We'll be canvassing July 7th to July 16th.